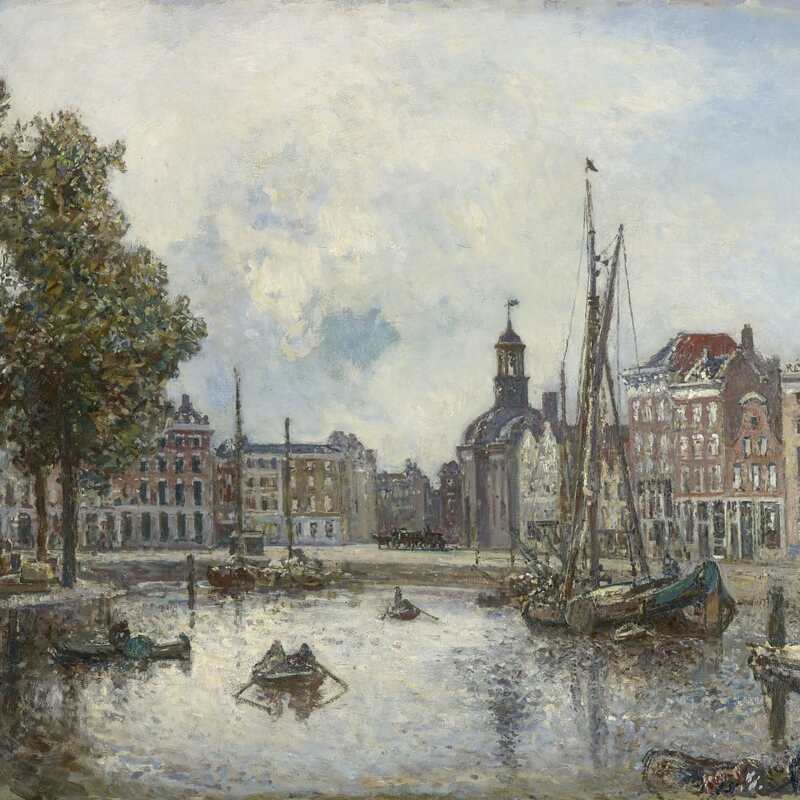 Johan-Barthold Jongkind | Stoppenbach & Delestre Ltd.
Johan Jongkind was a Dutch painter, considered one of the main forerunners of impressionism and often coined “The Father of Impressionism”. Jongkind developed an idiosyncratic style that was to bring him the admiration of Edouard Manet, Claude Monet, Camille Pissarro and Eugène Boudin. Born in Latrop in the Netherlands, the artist spent time in Vlaardingen and Massluis where he was often to be found drawing. He initially studied under the well-known landscape painter Andreas Schelfhout (1797-1890) at the Academy of Art in The Hague. Works from this period reveal his attachment to the Dutch 17th-century landscape painters, first in the composition of his painting and secondly in the choice of his subjects. 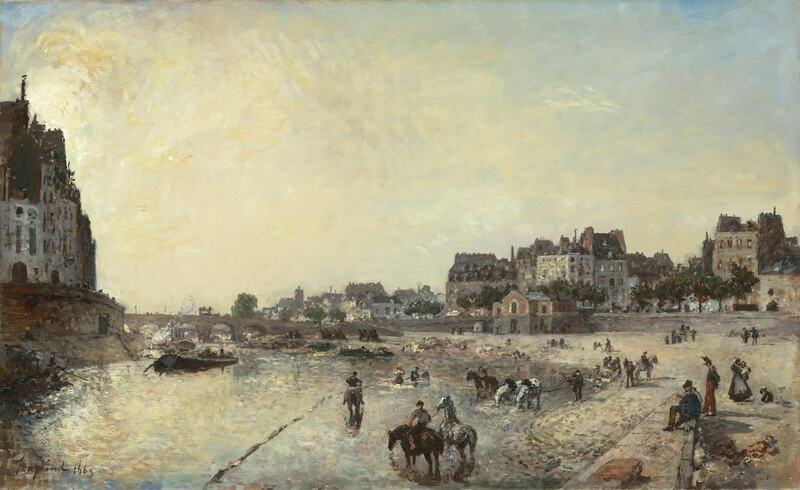 In 1844, Jongkind arrived in Paris where he continued his studies and met with fellow pupils including Thomas Couture, Théodore Rousseau and Eugène Boudin. Taught by Eugène Isabey, he furthered his fond interest in river and their banks, one of his favourite subjects for his paintings. Isabey recognised Jongkind’s talent for seascapes and took him on a tour of Normandy and Brittany in 1850. It was around that time where that he met with fellow artists Charles- François Daubigny, Nadar, and the art critic and poet Charles Baudelaire. 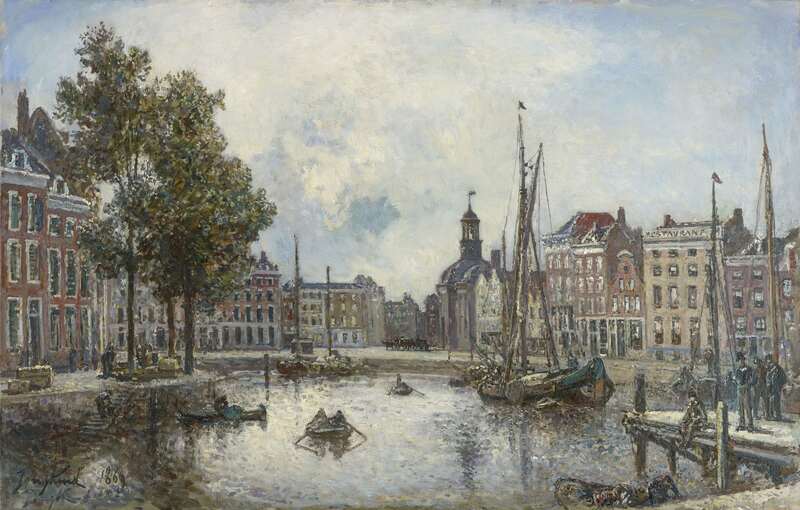 However, due to financial difficulty, harsh criticism for his experimental technique, and a troubled mind, he went back to Holland. On his return to Holland in 1855, Jongkind experienced five years of hardship, only relieved by sales of his works in Paris in 1861, thanks to artists like Camille Corot and Daubigny who had organised a sale of his works. He returned to Paris in the same year and had commercial success from this point on. 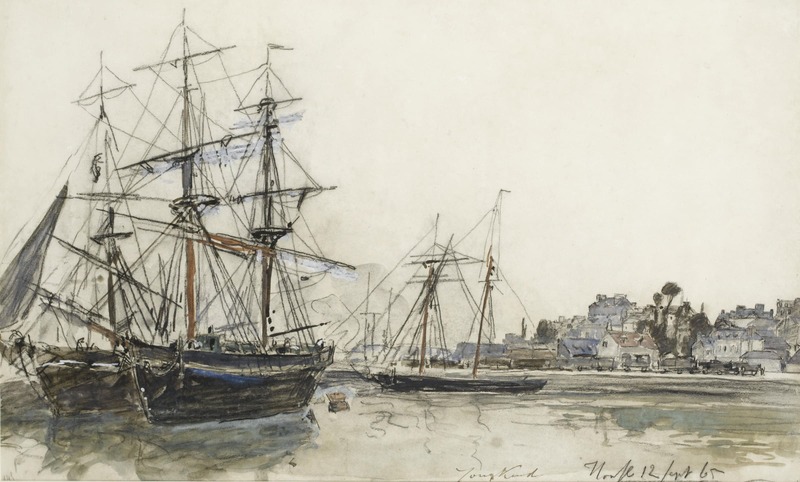 Madame Fesser, his loyal companion, and he went on numerous trips to the coast where he was inspired to paint port scenes that were often exhibited at the Salon and which gained him great popularity. Imbibing European landscape tradition, Jongkind combined a fresh and intuitive vision of the landscape. Through a precise method, the artist, endowed with marvellous visual memory, often executed watercolours ahead of the studio paintings. The artist developed a subtle technique, a shimmering style translating the energetic and emotional character of the scenes depicted. This new approach to landscape will exert significant influence on the upcoming impressionist artists. For Boudin: "Jongkind was beginning to get people to swallow a painting the skin of which, rather tough, covered an excellent and most tasty fruit." And about the watercolours: "This is made of nothing, and yet the fluidity of the sky and clouds are transposed with unimaginable accuracy", while Monet was later to write "Jongkind had me show my sketches, he invited me to come and work with him, explained the manner and reasons of his painting and, completing the teaching I had received by Boudin, he became henceforth my true master. It is to him I owe the definitive education of my eye…"
The artist’s work is included in major museum collections around the world among which Musee d’Orsay, Paris; Rijksmuseum, Amsterdam; Metropolitan Museum of Art, New York; Philadelphia Museum of Art, Philadelphia; Courtauld Institute of Art, London; Beaux Arts National Museum, Rio de Janeiro; National Gallery of Art, Washington D.C.